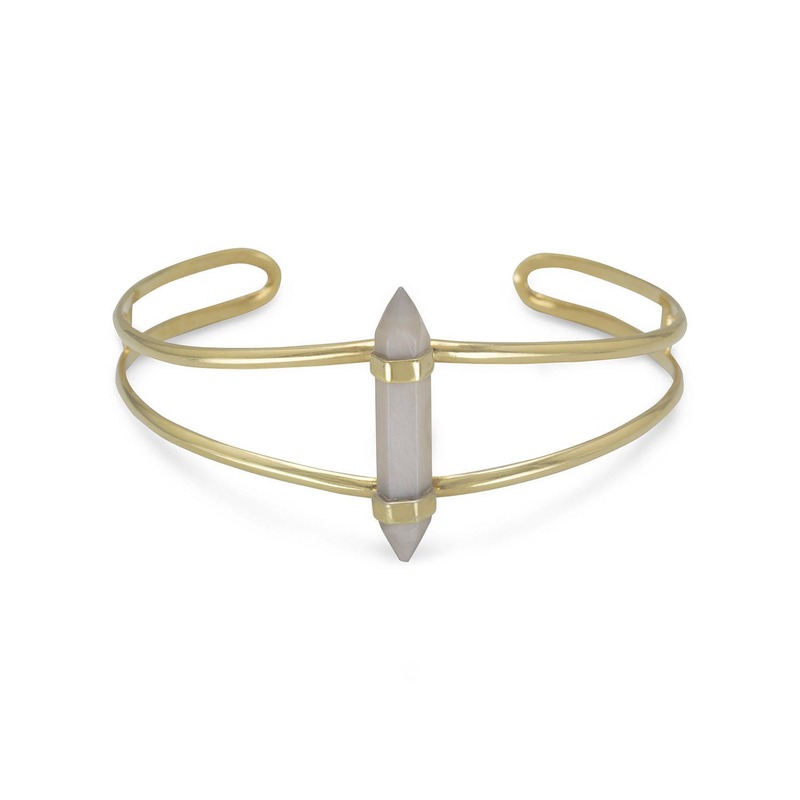 14 karat gold plated sterling silver split style cuff bracelet with gray moonstone spike. The graduated cuff measures approximately 8mm - 17.5mm. The six sided moonstone spike is 5.5mm x 30mm.